In 2002 four friends in Sweden, made a drunken bet to race to a hotel several islands away. There was one rule, they had to pass three restaurants on three different islands on the way to the final hotel. That first crazy challenge took them over 24 hours. The result of that bet is the sport known as Swimrun. Have you ever wondered how fast you could swim if you could use a wet suit, pull buoy, hand paddles, flippers or even if a friend could tow you? 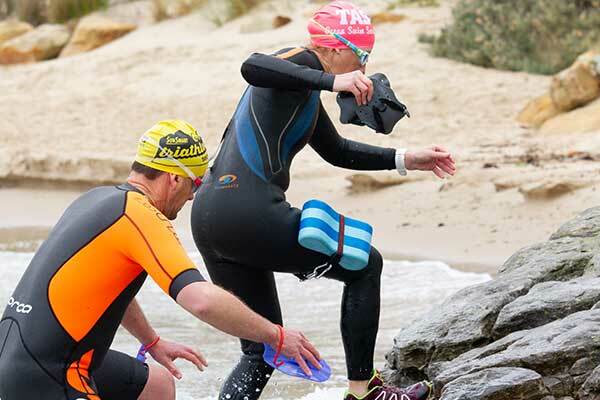 Swimrun gives you that opportunity. All these items are permitted. Some size restrictions exist on items such as flippers and flotation devices, but these are documented in section 3.5 of the race rules. 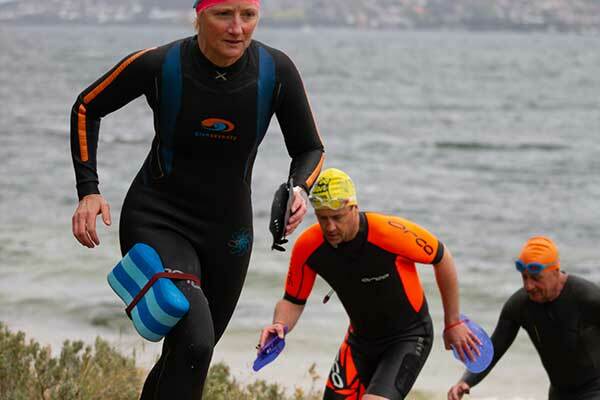 Beware, there is no transition area between swim and run legs. The result, whatever equipment you start with you will carry for the duration of the race. Sometimes less really is more, the choice is up to you.